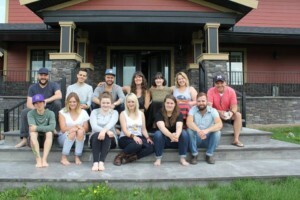 The Second Annual Songwriting Camp for professional songwriters in Alberta returned to OCL Studios, just outside of Calgary, to conduct a three-day songwriting camp, hosted by Alberta Music. 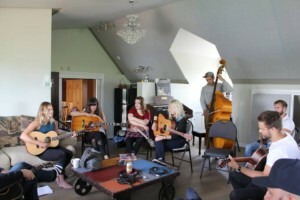 Nine candidates were selected and organized into groups of three to collaborate on two to three demo-ready songs. 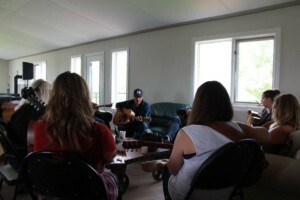 The camp also provided an opportunity to network and establish permanent collaborative partnerships. 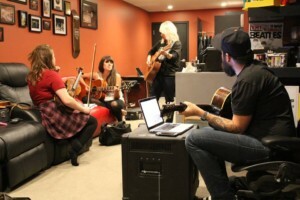 OCL Studios was chosen by Alberta Music for this camp to give access to the atmosphere and tools required to allow for creative collaborations to take place. 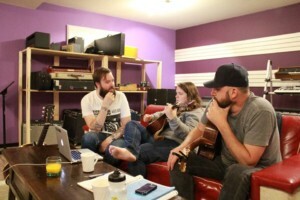 Mentor and songwriter Mike Plume didn’t give any set theme to write about each day, but encouraged groups to be inspired by their surroundings, and current issues. 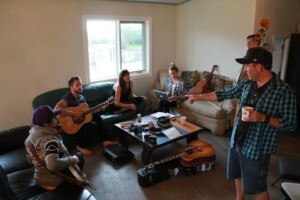 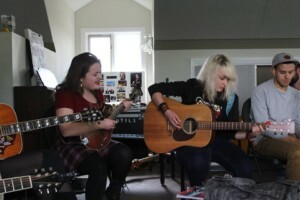 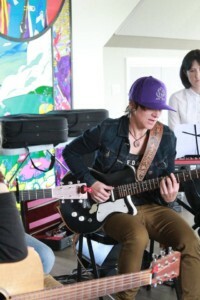 8 songs were completed (and one half completed) during this songwriting camp.